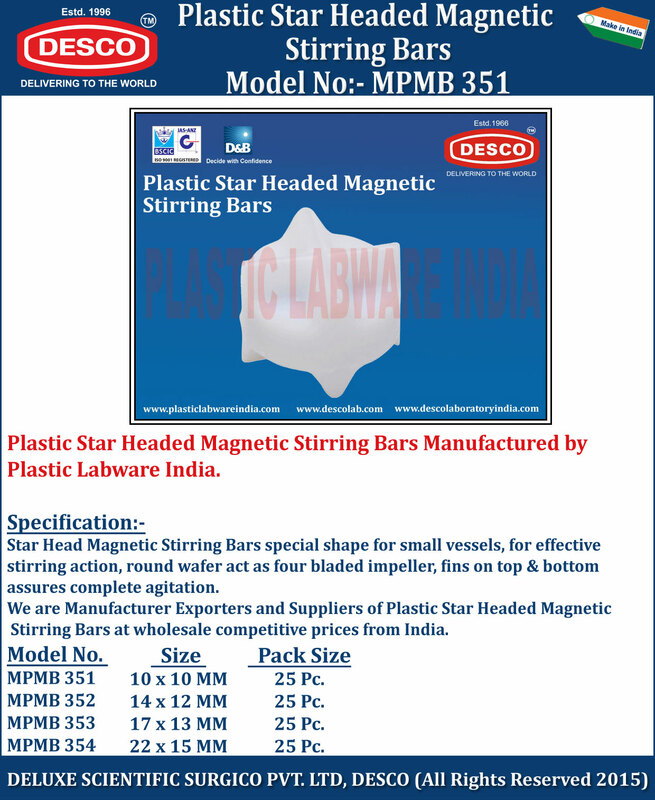 Star Head Magnetic Stirring Bars special shape for small vessels, for effective stirring action, round wafer act as four bladed impeller, fins on top & bottom assures complete agitation. We are Manufacturer Exporters and Suppliers of Plastic Star Headed Magnetic Stirring Bars at wholesale competitive prices from India. MPMB 351 10 x 10 MM 25 Pc. MPMB 352 14 x 12 MM 25 Pc. MPMB 353 17 x 13 MM 25 Pc. MPMB 354 22 x 15 MM 25 Pc.